Description: 2d Flappy Bird inspired video game where the player must avoid obstacles and try to kill the gnomes to achieve a high score. 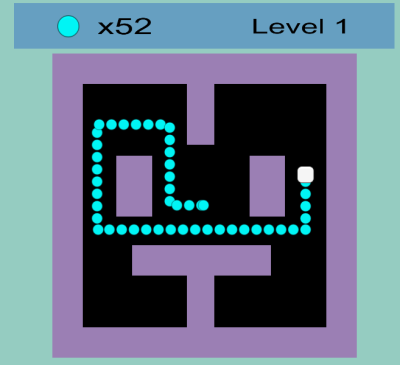 Description: 2d reverse Pac-Man puzzle game where the player drops dots as they move and completes levels when they drop all of their dots. 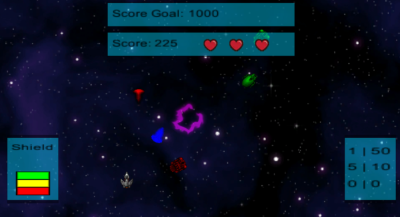 Description: 2d space based game where the player destroys enemies and collects pickups to reach a goal score. Team: Group of 5 people where I played the role of Lead Programmer. Team: Independent work with provided assets. Unity Game Engine, C# Scripting.